Transition® Lenses are compatible with virtually all frame styles, including the latest fashion lenses. And they're available in most types of lens materials and designs -including plastic, polycarbonate (shatter-resistant) and high index (thinner and light weight), and including single vision lenses, bifocals, multifocals, and progressive lenses. The staff at D’Ambrosio Optical Center will help you select the Transition® Lenses that provide the everyday convenient protection, visual quality and visual comfort you desire. 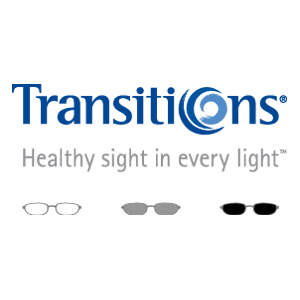 If you or someone you know would like to learn more about or order Transitions® Color Changing Lenses please visit D’Ambrosio Optical Center or if you would like, please call us at 800-325-3937 to schedule an appointment.